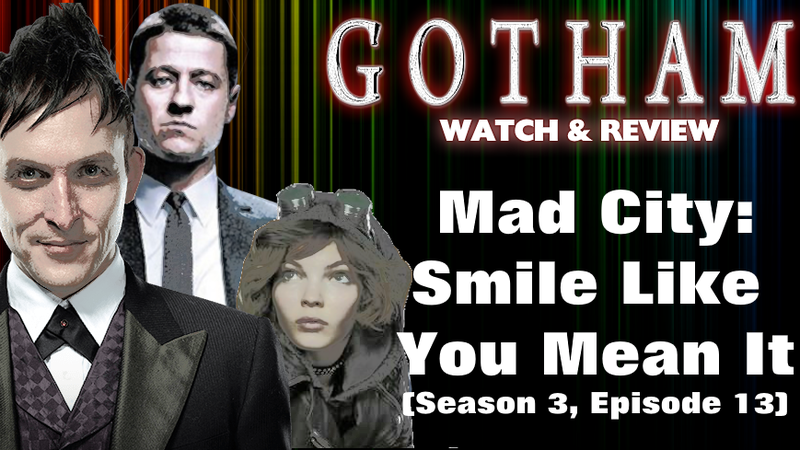 Today we are going over last night's episode of Gotham, 'MAD CITY: Smile Like You Mean It', which was episode 13 of season 3. This does contain spoilers on the episode. 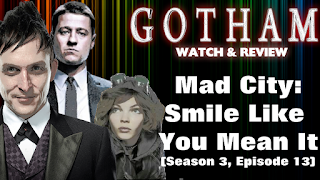 In trying to revive Jerome, Dwight activates his acolytes around the city; Selina's mom's intentions come to light; tensions between Penguin and Nygma grow. A phone at crime scene reveals the mole at the GCPD, who is someone who had a good career but he ends up laguhing in the faces of Harvey and Jim, they beat on him, but Lee intervens to give sodium penthol to get him to talk. Lee sees the double standard of Jim bending the rules cause she's pissed at him for killing Mario.